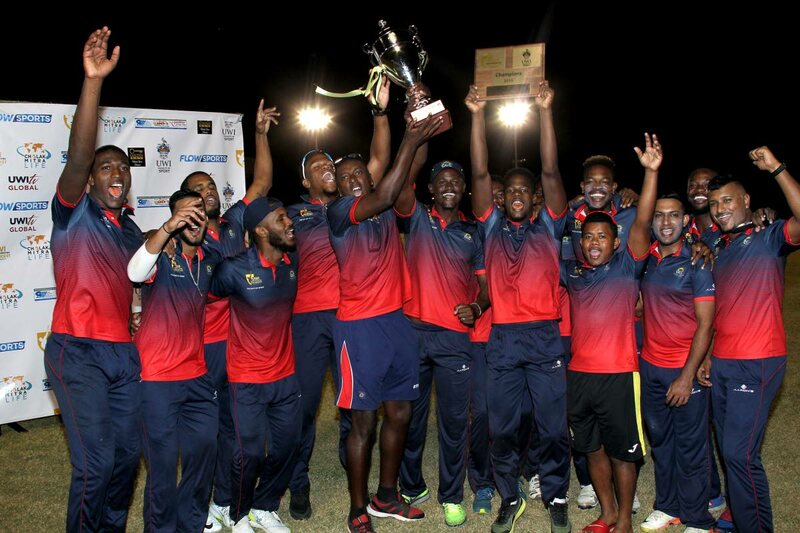 COMBINED Campuses and Colleges (CCC) defeated Oxford Marylebone Cricket Club (MCC) University for the second time in ten days yesterday, to win the inaugural UWI World Universities T20 Cricket Tournament at the Sir Frank Worrell Ground, St Augustine. Oxford MCC, who were blown away by six wickets in their tournament opener to CCC, again found their opponents too much of a challenge and succumbed to a 20-run defeat. The visitors did well to reach the final, after losing their first two matches in the five-team competition. Sent in to bat by Oxford MCC, CCC posted a slightly competitive 135 for nine in 20 overs. However, Kyle Corbin's CCC squad turned in a disciplined bowling performance, restricting the Englishmen to 115 for eight to spoil any hopes of a fairytale ending for the visitors. 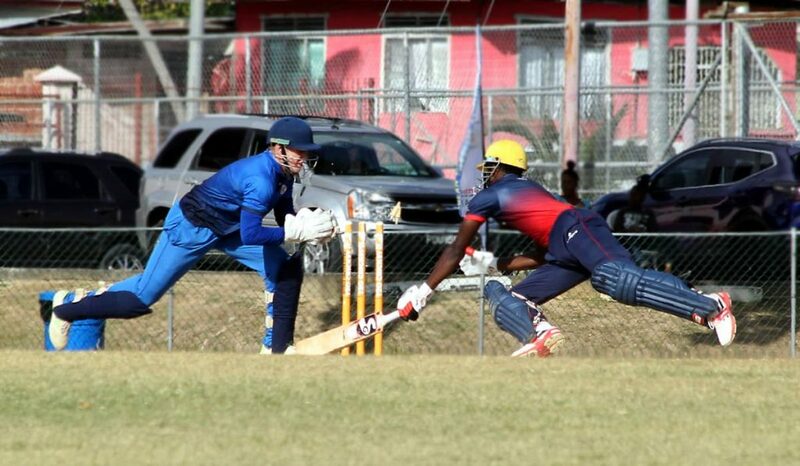 CCC got off to a high-octane start, racing to 50 in under five overs, thanks to Kjorn Ottley (36 off 19 balls with six fours and a six) and Corbin (22 from 19 with two fours and one maximum). Just when they seemed set to amass a big total, Ottley slashed Will Robertson into the waiting hands of Harry Adair with the score at 57. Corbin followed four runs later, bowled by the troublesome leg-spinner Mohammed Rizvi. After taking four wickets in the last game, Rizvi continued to torment the local batsmen by getting national player Amir Jangoo stumped carelessly by captain James Seward for two. Nicholas Sookdeosingh entered the fray but he too failed to recapture his previous form, skying Will Heathfield to Zaman Akhter for six. With the score at 69 for four, CCC began to lose momentum with Seward also stumping Odain McCathy (11) off Dominic Clutterbuck. Johnnel Eugene (three) also fell to Clutterbuck's plucky off-spin, leaving the Regional Super50 champs in disarray. However, Yannick Ottley stepped up to offer some resistance with a defiant 31. He took the score from 92 to 125 with Keron Cottoy (13), but with boundaries hard to come by, CCC never looked set for a big score. Heathfield (W) would return to the attack to bowl Cottoy and trick Ottley (Y) into lobbing into the waiting hands of Liam Burgess at long-on. By the time Will Robertson came in to shatter Jarlarnie Seales' stumps for two, CCC bowlers knew they would need to be at their best to defend their total. In their turn at the crease, Oxford MCC failed to build on their bowling performance and never looked confident in their chase. With just one on the board, talisman Christopher McBride edged Michail Powell behind to Jangoo. The visitors failed to handle the pacers early on, with Seales removing Harry Adair for eight to make it 21 for two. Rizvi, another big-hitter, lost his composure and was caught and bowled by Jon-Russ Jaggesar for 14, with Cottoy coming in to remove Seward thanks to another wild shot to Corbin for 15. Akhter (27) and Louie Shaw (15) tried to repair the innings, as Oxford MCC trickled along to the midway mark, needing 79 more for victory with six wickets in hand. Akhter would perish attempting a silly second run, thanks to a direct hit by McCathy from mid-off. Sensing weakness, Powell would re-enter the wicket to stifle the batsmen as his pace continued to prove tricky to navigate. He saw immediate success, scalping Shaw cutting to Cottoy at square, who took a blinder after bobbling it on the first attempt. Will Rogers tried to fight on with an unbeaten 16, but with 33 needed from the final three, CCC never looked like letting the trophy slip from their grasp. Oxford MCC capitulated when Heathfield (W) nicked Seales behind to Jangoo for six, and Powell castled Burgess for five to seal the title. Powell ended with three for 17 from three overs to claim man-of-the-match plaudits, while Seales ended with two for 28. 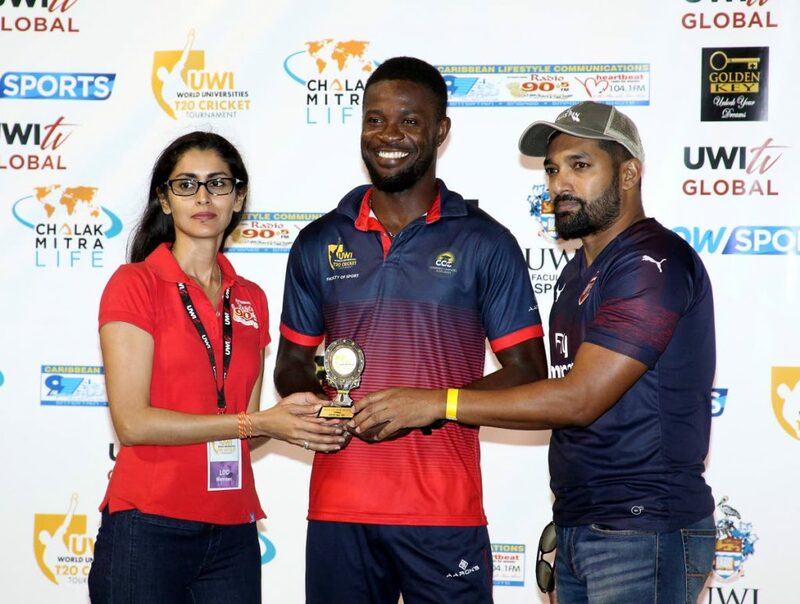 McBride finished as the tournament's top scorer with 245 runs and Clutterbuck ended with most wickets on 11, increasing their chances at making the Caribbean Premier League (CPL) camp this year which the top five players were promised. CCC 135/9 (Kjorn Ottley 36, Yannick Ottley 31, Kyle Corbin 22, Will Heathfield 3/17, Mohammed Rizvi 2/18, Dominic Clutterbuck 2/28, Will Robertson 2/28) vs OXFORD MCC 115/8 (Zaman Akhter 27, Will Rogers 16 not out, Michail Powell 3/17, Jarlarnie Seales 2/28). CCC won by 20 runs. Reply to "CCC graduate with T20 honours"